This post is Part 2 of a 4-part saga. To read Part 1, please enjoy: AppleCare Needs a Frequent Flyer Program. In my most recent post I told you about how my 2016 MacBook Pro died and had to go back to Apple for repairs. I said at the end that it wasn’t the worst thing that happened. Things got far far worse. This isn’t my first rodeo, so I had three backups of my Mac. A full clone backup from SuperDuper! on an external drive, plus Backblaze AND CrashPlan offsite backups. It’s a long story why I have both but I was fully covered. I also always keep my most recent Mac when I buy a new one, just in case I ever have a hardware failure like this. I reversed the cloning process to send my image onto my 2013 MacBook Pro. It was a little bit more complicated than it would be for a normal person, because I had upgraded the 2013 Mac to High Sierra and allowed it to change over to Apple’s new file system, APFS. SuperDuper! is really easy to restore from; you just sort of run it backwards, but it didn’t recognize the internal drive on the 2013. I used Disk Utility to reformat it back to Mac OS Extended (Journaled) and then I was able to shove the backup onto the old machine. I went into the Mac App Store and tried to look at my account and I got the authentication prompt. I entered my Apple ID and password and it said, “This action could not be completed. Try again.” Hmmm. Note that it didn’t say the password was wrong. I went to icloud.com and tried to authenticate, and it worked just fine. I was logged into my Apple mail and I could see my calendar, so this was all very curious. As I often do when I run into a real head scratcher, I contacted my friend and Apple Certified Consultant, Pat Dengler. She gave me what is normally really good advice when you run into problems with iCloud: Log out and back in again. Essentially “turn it off and back on again”. I did just that in System Prefs and then tried to log back in again and I got the same failure message. But things actually got worse. Where before I had access to my Mail and Calendar, now I had lost access to those services as well. I want to reiterate that Pat’s advice normally should have worked, but we’re not talking about normal here at all. Time for a call to the top of my speed dial contacts, AppleCare. The first tier guy, Steve, was clearly out of his depth so I had him send me up to senior advisor Guinevere Banks (she goes by Guin). We chatted for a bit and she said that she could see on the backend that my system was being “challenged” each time I tried to connect. Here’s the bad news. She said that the only way to get this challenge reversed is to ask engineering to uncheck the box that is blocking the serial number of this computer. To say I was dismayed would be the most drastic understatement ever made. I explained that in one week I’m giving a talk at Sal Saghoian’s Command-D conference and to do that talk, I need access to the applications I’m going to be demonstrating as well as access to my data. Even my presentation was in iCloud and I couldn’t get to it! If I believed engineering would respond quickly I would have been ok, but she said they’d respond, “in a few days”. In my vast experience dealing with AppleCare, I’ve heard the “we’ll send it to engineering and they’ll get back to you” line, and the time to get back to me varied from 2 weeks to never responding. She told me that she’s seeing this kind of block more and more often and that in all cases, Engineering never tells the customer why it’s happening. She even said, “I know this call is being recorded, and I’ll tell you that I don’t use iCloud.” Seriously. My son Kyle had an interesting idea: he pointed out that we have a family plan so his account has access to all of my applications. We tried logging into his account on my 2013 MacBook Pro, but he also was denied, as was Steve on that Mac. Then I created a new user account on Steve’s new 13″ Touch Bar MacBook Pro and tried logging into the Mac App Store on that account, and it worked flawlessly. So it’s definitely the 2013 Mac itself that has been blocked. I’m not being hyperbolic when I tell you that the call ended with me curled up in a ball on the floor sobbing. That was on Sunday, and I’m writing this on Wednesday and I still don’t have access to the Mac App Store, to the iTunes Store, my Apple Mail or to my iCloud data. Apple has effectively stolen these things from me. Editorial Note: The end of this saga is the post When Bad Things Happen to Good Computers in which come to the conclusion Apple did not steal my stuff. Now let me tell you about the heroes of this story. In order to do the podcast this week and to create my automation talk for Sal’s conference, I need access to several apps. In my demo for Command-D I’ll be showing how I launch all of the applications for the live show by an Automator application I created. I ran the Automator app and I was able to see which applications failed. I wrote to each of the vendors explaining what was happening and begging for a license code to hold me over until Apple lets me back into my account. I first wrote to the lovely Lian-Hsin Chen, an independent Mac developer in Taiwan who goes by the handle @mactaris. The app on which I depend is called Webcam Settings. It’s tiny little menubar app that gives me awesome drivers for the Logitech C920 camera. Without this app I can’t control the white balance, zoom, focus and brightness to give you the great video you’ve come to expect on the live show. I wrote to Liang-Hsin at 7:43pm on Sunday and he sent me a license key at 7:52pm. Seriously, 9 minute response time. If you want full control over your webcam and there are no Apple drivers, please check out Webcam Settings in the Mac App Store. My next hero is Daniel Jalkut from Red Sweater Software who makes the fabulous MarsEdit application that I use for all of my blog entries. I could stumble along putting in html by hand and using the WordPress interface, but it’s a happy place when I can use MarsEdit. Daniel responded in around 2.5 hours with an emergency license key. If you do any blogging at all, I highly recommend picking up a copy of MarsEdit from red-sweater.com. He’s also got FlexTime to make you stick to your daily routines, FastScripts – easy keyboard shortcuts, Clarion to learn musical intervals, and Black Ink which is a crossword puzzle app with downloadable puzzles. Rob from Many Tricks, makers of Moom got back to me first thing in the morning, and the sweetheart apologized for the long delay! I wrote to him on a Sunday night for crying out loud. Moom is a cool app that allows you to set the position of your windows and have them saved. This is another piece of what I”m going to demonstrate at Command-D. After I run my Live Show app I made in Automator, it plops all of my needed apps all over my desktop. I then click on Moom and instantly all of my application windows are organized right where I like them. Moom does way more than this but that was the critical piece I needed. If you think this sounds cool, check it out at manytricks.com. While you’re there, check out Witch – a better app/window/tab switcher for when command-tab simply doesn’t cut it. Perhaps you need to batch rename files, check out Name Mangler that our very own George from Tulsa reviewed ages ago. Need help with time management? They’ve got Time Sink. I could go on but the list of cool little apps to control your Mac life goes on and on. One company didn’t come through for me very well, and that’s Telestream, makers of ScreenFlow. I bought ScreenFlow 5 directly from them a few years ago but when I tried to use it on my MacBook as well as my MacBook Pro, I found out it was locked to a single machine. While disappointed, it’s critical enough to me that I turned around and bought it again, this time from the Mac App Store. The app is $100 so this was no small investment. I tried my old license key but realized it was a rev back from the current ScreenFlow 6, so I asked them to do me a solid and spot me a temporary license key for version 6 just till I got access to my applications again. They refused. Instead they sent me a download link for ScreenFlow 5 (the one I already own). I asked again a little more persuasively explaining that they’re the ONLY VENDOR not helping me out, but again they said no. Disappointing to be sure. As of this point in the story, I’ve managed to muddle along with the bare minimum apps I need thanks to the kindness of the indy developers. I did eventually figure out that I could download my presentation from iCloud.com since iCloud Drive now shows up there. I’m getting my Apple Mail and calendar from my iPad and iPhone. 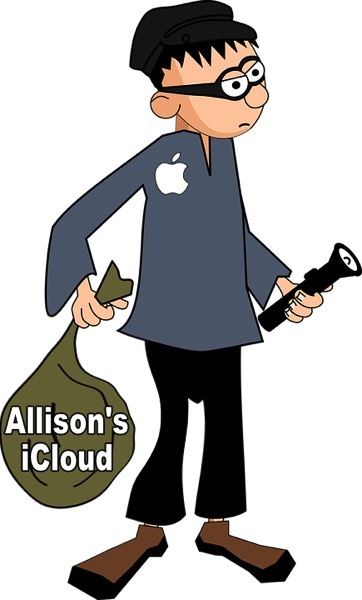 I think I’m going to be able to pull this off in spite of Apple stealing my stuff from me. For Part 3 of this saga, please enjoy: Time to Contact Craig Federighi. Allison, I have seen a similar (if not the same) issue on my 2010 MBP. You could try to run a recovery repair just to let the system fix any permission issues that may exist as a result of the clone install. Also, deleting and recreating the Ethernet adapters can help. That’s what my problem was. I could get the sign to work and run apps if I was on Wifi but not wired. Recreating the wired adapter set things right….as I recall, this was a couple of years ago. I looked for the info that led me in this direction, but could not find it. All the antennae on my head are pointing to the root of this problem being that you’ve restored a full clone of your 2016 laptop onto a completely different piece of hardware. My initial thought was that you’d have driver issues, as this was always the problem on PCs, but perhaps macOS contains all the necessary drivers regardless of which hardware it’s running on. But Apple are probably doing the smart thing to protect the developers whose apps they vend through the app store. Those apps were downloaded and licensed on a system with serial number X (and possibly individually signed to this effect) and now they’re cropping up on a completely different system with serial number Y. I think it is a perfectly reasonable first assumption that some shenanigans are going on. Remember the apps are limited to 5 installs only, so they must be tracking where you have them installed. Maybe I’m off base, and with your system now blocked it may not be possible to prove if I’m right, but I’d wager had you done a clean install on the 2013, reinstalled apps from the MAS, and copied only your data over from your backup, you’d be fine. Although that would of course be more effort on your part to marry up all the data with the apps. Actually, have you ever cloned from an old laptop to a new one? If I’m right the same problems should occur. That’s the only thing I could think of too, Allister. I wrote to the dev for Super Duper! and asked him if he’d ever seen this as a problem. He said people do what I did all the time and he’s never heard of this problem. I’m surprised that this process sounded likely to fail to you. The 2013 is a Core i7 with an SSD and a Retina display. I doubt whether the Wifi controller has changed either. Why would the drivers be a problem? Grumpy – I’m willing to try anything. I hadn’t tried Ethernet yet, so I dug out my Thunderbolt to Ethernet dongle (remember we’ve needed dongles for a long time, not just now) and plugged it in. I shut off WiFi and made sure I was connected, and then tried to connect to iCloud. No joy. I may give the repair suggestion a try tomorrow. Thanks for the ideas! Geez, what a nightmare. Good blog post material but that’s about it. I wish I had some insightful idea that you have not already tried, sorry to say, I don’t. My gut tells me it’s got to do with APFS, even though you reformatted back to Mac OS Extended (Journaled). I hope you get answers as well as a fixed or replaced MBP. It’s awesome (though not surprising) that the wonderful small software devs/companies stepped up right away to help you. And not surprising that Telestream/ScreenFlow hung you out to dry (I know it’s not in the same league as ScreenFlow or Camtasia but I really like Screencast-O-Matic and wonder if it could suffice to get you through your presentation at Command-D). I’m eagerly awaiting your next post and hoping you have a happy (or at least solidly satisfactory) ending to this debacle. Have big fun at Command-D! I’m willing to bet that at least the graphics card will be different and it’s entirely possible with three years between them that some other bits have, too. But if the SuperDuper! person reckons this is done commonly, then I’m off the mark.